Keep your flashlight close at hand with this convenient holster. 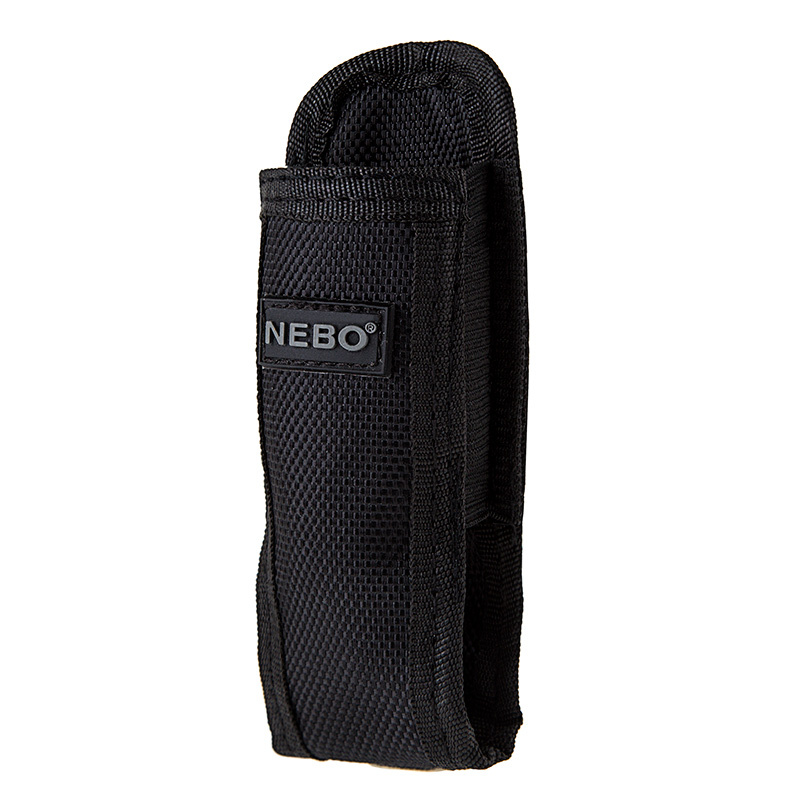 Designed specifically for the SLYDE by NEBO, this holster is designed for protection, durability and structural strength. 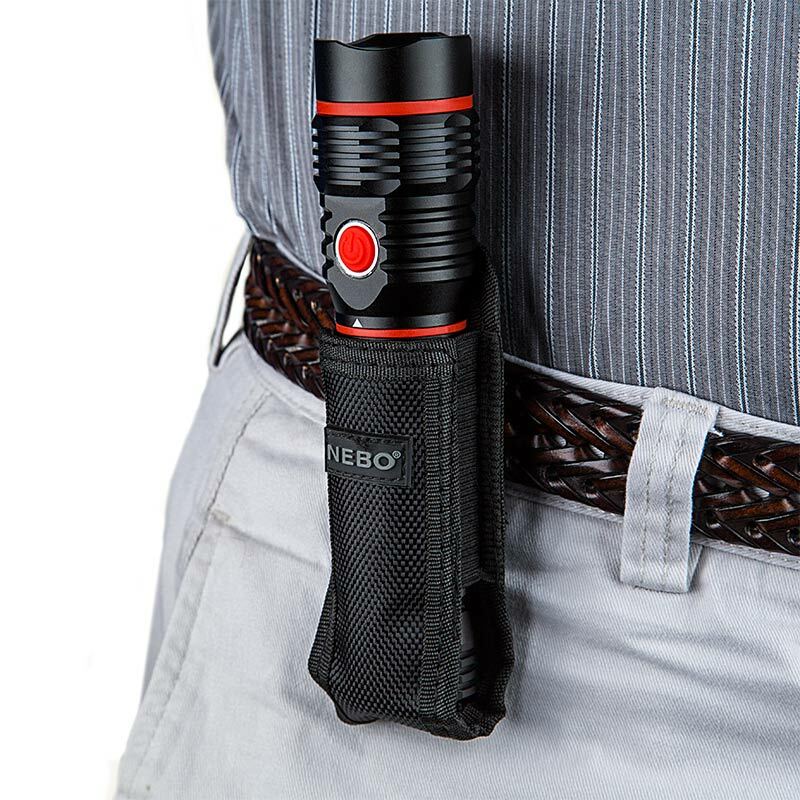 Features a steel clip on the back to keep your flashlight where you need it most, safely by your side. Great design with a flaw. I purchased this holster and upon receipt I marveled at the thoughtful design and thought it would serve my Nebo Flex well. I had to go grocery shopping and knew when I returned home that it would be dark so I slid my brand new Flex (which I adored) into it and clipped it on my 1 3/8" belt confident I would have illumination and safety when I returned from shopping. I got home, reached for my flashlight and it was not there. Bummer !! The belt clip had allowed the holster to slide off my belt with little resistance and I was back to square one with no light in the dark. I'm 66 years old and well past the time that I can make fast or fancy moves. It simply failed to stay on my belt securely. Oh well. Two stars for a thoughtful holster design, no stars for the weak belt clip.Otherwise I would of given a 5 star rating. Oh well, woe is me. Please consider making a modification to the belt clip it's a bit weak in the current design.